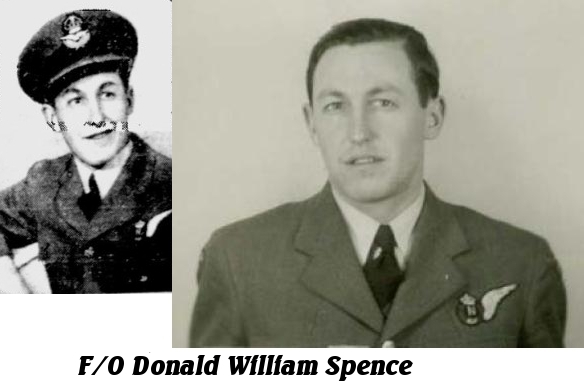 By November 16th, the Navigator was F/O Donald Spence who continued on with the crew. On the November 27th operation a new Wireless Op. F/O R.R. Biocom was with the crew until December when P/O G. L. Rabone took over the Wireless position. The Wireless Operator changed a number of times again between January and February 1945. The crew changes are mentioned simply to show how the rotating Wireless position had an impact on two other Airmen. On the operation scheduled for night of February 4/5, the wireless man was to have been P/O E. Jones who was part of F/L Cave's crew. The Battle Order shows Jones being crossed off and F/L Collard's Wireless Operator, P/O Christian Sutter being penciled in. The raid on Bonn for that night was a small one of 238 aircraft only 20 of which were Lancasters. The attack was a poor one results wise, with a heavy cost of 23 crewmen's lives, 2 from a Mosquito and the rest from the small force of Lancasters. The darkness and the cloudy weather caused two of the Lancasters to collide in mid-air while on the way to the target. Where the two Lancasters fell was in an section of heavy fighting, a confusion of front lines moving back and forth with German counter-attacks occurring and then being forced back. 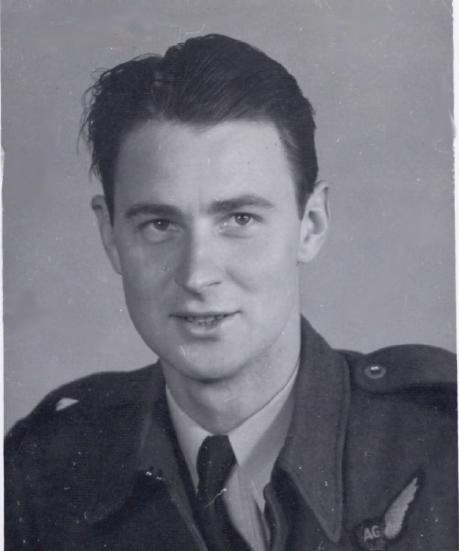 The Squadron Leader, Area Commander of No.2 -9000 Convoy was told by a Belgian civilian of the crash of a British aircraft, which had occurred two nights previously near Courtil which was 12 miles from the Commanders present location. The S/L decided even with the events occurring in the area to proceed to Courtil to investigate, when he arrived he found an American Unit who confirmed the crash in the area but they knew very little about it. What they did know was that one man had escaped alive and had been taken to an American first aid post. The person to whom the S/L was talking to was not aware of the name of the man who had escaped the aircraft. The S/L completed a report on what he found mentioning the discovery of the wreckage of the aircraft, which turned out to be KB787 but this was not kknown at the time he was preparing his report. It would be awhile before the RAF could find from squadron reports which aircraft were missing and which could be accounted for lost by enemy action. 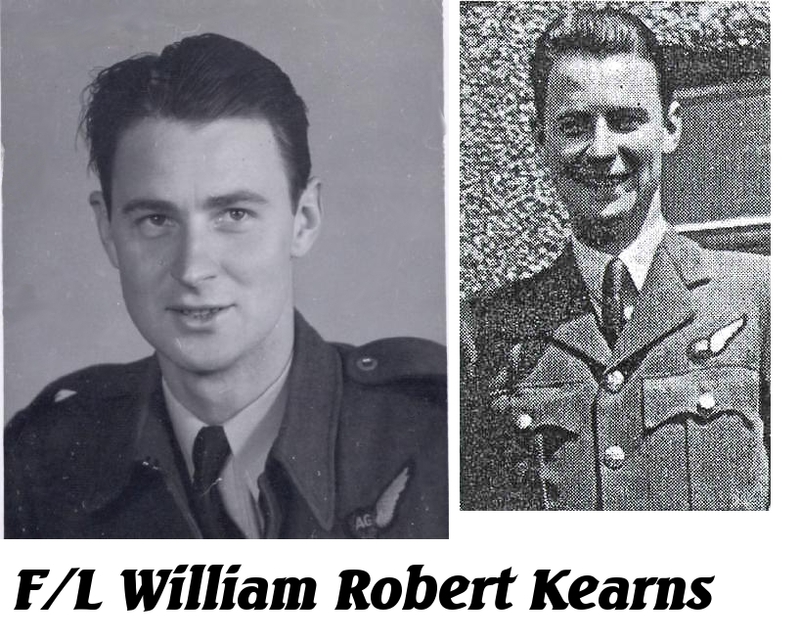 The Squadron Leader also located the bodies of some of the crew. The area had been mined during the ground offensives and this put a halt to his further investigation. S/L J. Wardrop therefore headed back to his H.Q. and contacted S/L Geoff of No. 2811 RAF Regiment to send a party with mine detectors and make a further search. S/L Wardrop had been told of the second aircraft beyond the woods where he had found the first Lancaster (KB787) but he himself did not see it. He clearly mentions that the crewmen were buried by the RAF Regiment near the scene of the crash and the graves marked by small wooden crosses. He was unable to find any information on who the surviving member was as the American units were moving about rapidly with the advancement of the lines forward. The confusion of the burial and discovery of more bodies by the American grave units, held out hope that maybe one other survivor was still unaccounted for. By now the RAF and Group 6 Intelligence had sorted up which two aircraft were involved but F/L Barlow was unaccounted for. 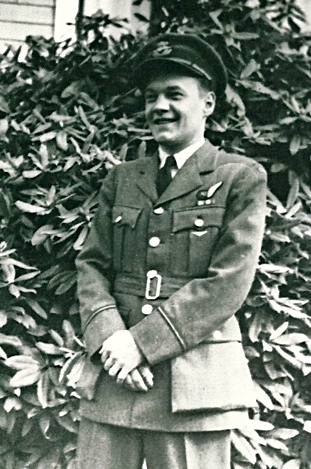 It was not until the U.S. Graves Service notified Bomber Command that the Body of F/L Barlow had been found and buried at the Military Cemetery at Foy, Belgium that the truth was known. The fact that some bodies ha been buried by the RAF Regiment and others by the U.S. forces explains the interview with the Mayor of Courtil almost a year later. What he remembered was the bodies being buried by the Americans, which is what he reported in the following interview. From the report of the Search Officer F/L Thomson of No.2 M.R. 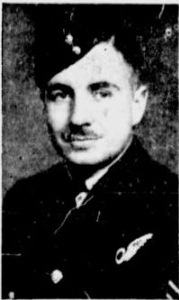 & E. Unit RAF, dated June 27th 1946, interviewing the Burgomaster back in June of 1946 he learned that two 4 engined aircraft had collided over Courtil and had crashed at spots about 1 mile apart on the night of February 4th. He had also learned that the two aircraft had exploded. The Burgomaster confirmed that the bodies had been buried where they were found by the American troops in the area. F/L Thomson in the company of the Burgomaster viewed one set of graves marked with rough wooden crosses, surrounded by a fence. Flowers and the names of each man were showing on the crosses. The graves of the other crew was 300 feet away. Even though S/L Wadrop was unaware of the name of the survivor of the crash on his February 7th visit to the crash site Somewhere the wheels were turning as the Intelligence branch of Group 6 already knew the airman was P/O Sutter as soon as the next day, February 5th. There is no record of the extent of the injuries he suffered or how they came about, it wasn't long before Sutter was back in Britain and by March 14th was back with his original crew. He completed his Tour with his crew captained by F/L H. Collard who had on two occasions used F/L Barlow's former Wireless Op. F/L E. J. Tucker in Suttere's absence. P/O E. Jones who had at the last minute been replaced Sutter completed his Tour with his own crew captained by F/L Cave. 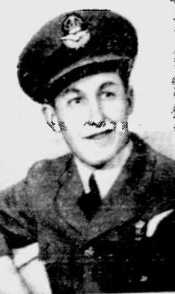 F/L Douglas Buchanan had already completed a Tour while with 101 Squadron, it was while with this squadron he recived his DFC. Throughout his operational tour Pilot Officer Buchanan's ability and determination have been of a very high order. His efficiency as an air bomber has contributed, in a large measure, to the excellent results obtained by his crew. By his tenacity and complete coolness, even in the face of the heaviest opposition, many fine photographs of target areas have been obtained. Pilot Officer Buchanan has displayed consistent courage, skill and resource throughout all his missions. Christian Sutter returned home, married and settled back down managing the family farm. 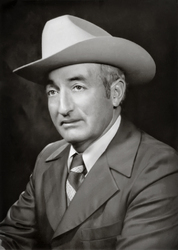 He became well known throughout the agricultural community in Saskatchewan and worldwide and he brought about not only a name for himself in the cattle business but also a major fall fair in Western Canada that is in now it's 43rd year. He received the Saskatchewan Order of Merit and the Order of Canada for agricultural accomplishments. In March of 2014, Mr. Sutter passed away in Calgary at age 94. Rear Air Gunner Age 24 19th Op.